Omnibus in Latin translates to ‘all for all’. It apparently started as a nickname given to multi-passenger vehicles in France back in the early 1800’s. Pre-dating this, in 1662, a brief public transportation bus line was established in Paris, but it was pricey and regulations tended to prohibit use by those who were not members of high-society. The service was not sustainable and stopped. In England in 1824, it is believed that a toll gate keeper named John Greenwood bought a cart with a few seats and a pulling horse and began offering no reservation necessary travel between Manchester and Liverpool. He would pick up and drop passengers off wherever they wished along the way. The success of this led to him expanding to other cities. Competitors jumped on board with this concept and business was good for all, leading to a merger into a company named Manchester Carriage Company. In Paris, the omnibus started up again. It stopped in front of a hat store named Omnes, and there was a sign outside that said ‘Omnes Omnibus”. This line included having a designer create a better vehicle. They held between a dozen and eighteen people. Millions of passengers traveled on them during the initial first half of the year of service! But theft of the fares by those working on them kept the endeavor on the edge of bankruptcy until the owner, Stanislas Bauldry committed suicide in 1830. 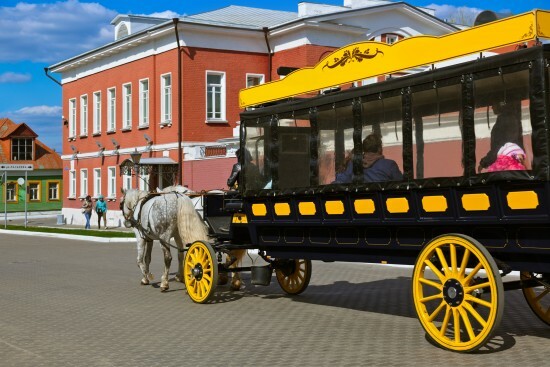 In spite of this dramatic beginning, the concept of a bus was here to stay, and multiple companies were established and flourished until bus transportation was commonplace in Europe and North America by the 1880’s. Horses were slowly replaced by steam engines and electric motors, and eventually by internal combustion engines. Fast forward to the modern bus. Fast, quiet, luxurious and safe. Entertainment systems, rest room facilities, and high tech communication technology. Tour buses are considered a great way to travel, with the ability to take a traveling party, not only to their desired location, but allowing the flexibility to access and explore all the special places along the way. From the little amazing restaurant off the main thruway, to the cute and informative topical museum between cities – charter bus travel is the best method to get a complete travel experience that includes all the amazing things that are not practical to include on the typical itinerary.